Cincinnati mayor John Cranley apologized to the Fraternal Order of Police Thursday night after his office mistakenly issued a proclamation honoring the man who ambushed and killed Cincinnati Police Officer Sonny Kim. "This was a huge mistake," Cranley said, pausing to wipe tears from his eyes. "At the end of the day, the buck stops with me and there is no excuse. I am sorry, and it won't happen again." According to a retraction issued by the city, a new employee at Cranley's office was the one who stamped the proclamation that June 1, 2017, would become "Tre Day" in honor of Trepierre Hummons. The proclamation depicted Hummons as a person whose life "will be a life remembered through the Trepierre Foundation's efforts to impact mental illness in kids and young adults." That's not how Cincinnati police officers remember him. Hummons, 21, died June 19, 2015 after calling police to report a suspicious, armed individual in his neighborhood. 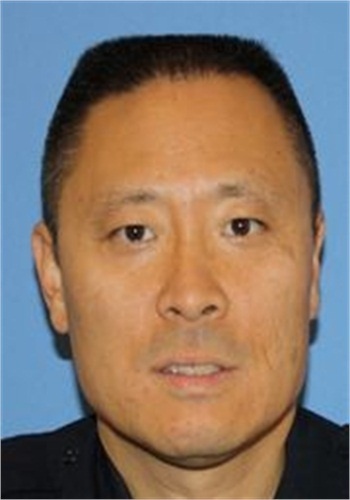 When Officer Kim arrived at the scene, police said Hummons shot him and wrestled his service weapon away; he then fired at other responding officers before being shot himself. The request for a commemorative "Tre Day" had been made by Hummons' father, who did not mention his child's last name or the incident with Kim when he made the request, and granted by communications director Holly Smith without the mayor's knowledge or approval, Cranley told WKBW TV.